Here is another Easter related Halloween project. This time Kim will show you how to transform some of your left over Easter eggs into easy Halloween party favors. Your Halloween party guests will love these cute crepe paper jack-o-lanterns and the spooky treats you hide inside. 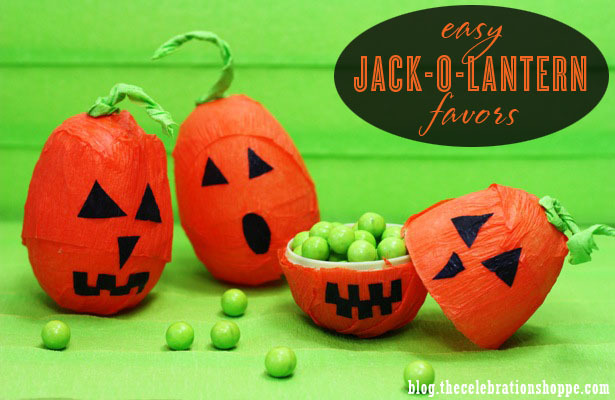 You can check out how to make easy Jack-O-Lantern favors over at The Celebration Shoppe.